The unpredictable spring continued with an upset victory over the Winnipeg Jets, which gave the Golden Knights a surprising berth in the Stanley Cup Final against Washington. The Capitals have had their share of playoff heartbreak over the years - they'd only made it to one Cup Final in their 44-year history and were swept by Detroit - so it was a nice matchup featuring two teams looking to make history. 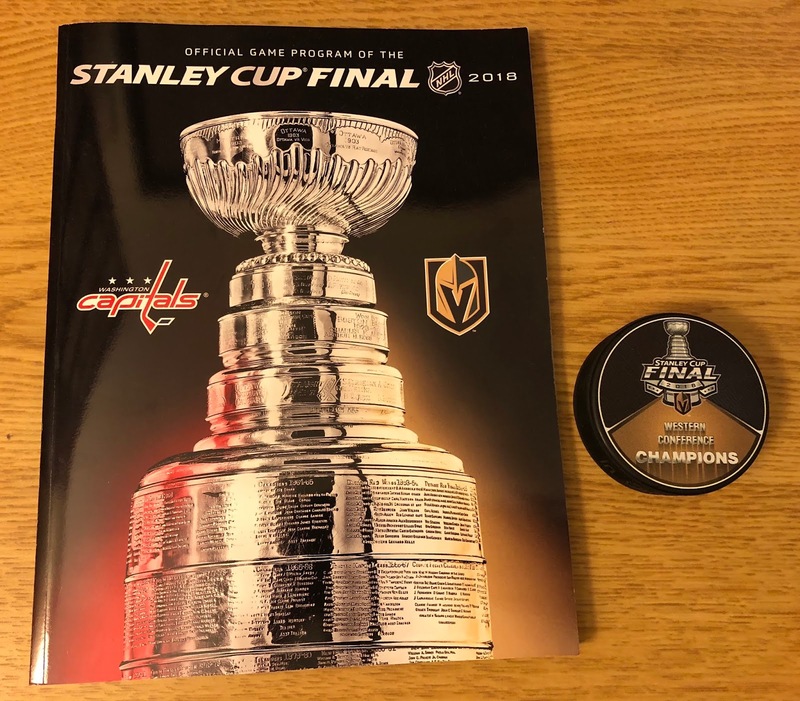 While Vegas was able to win the first game of the series at home, they would suffer defeat in each of the next four games, allowing Washington to hoist the Stanley Cup after Game 5. 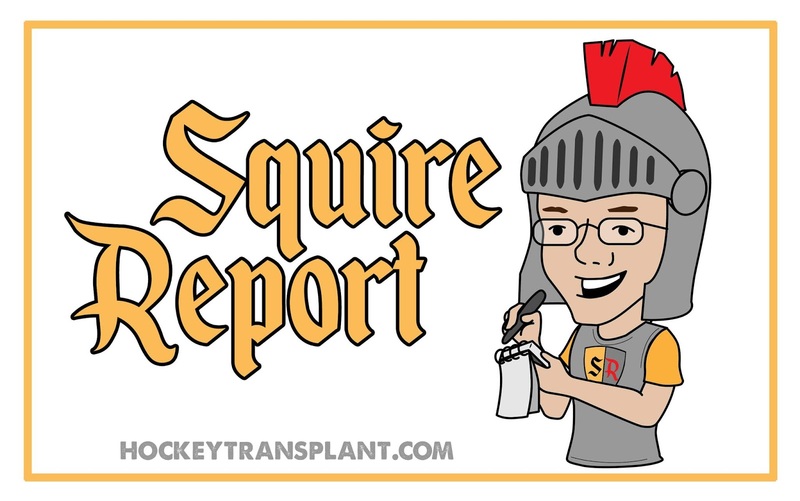 - I followed the Expansion Draft closely, even appearing as a guest on the popular Puck Podcast twice to discuss the newly-formed roster of players. - I was at the first rookie scrimmage between the Golden Knights and the Los Angeles Kings, where I met some esteemed media members to "talk shop". 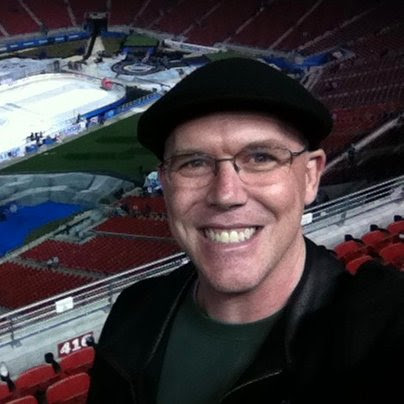 - I was at a preseason game in Anaheim, wearing my Vegas hat and marveling at the small handful of visiting fans sporting Golden Knights apparel. - I was there at the first home game in Vegas on October 10, somberly watching Deryk Engelland give his pre-game speech which sent chills down my spine. The year was now 2017, and we were coming down the homestretch of The Quest with only a handful of arenas left to see. Always the opportunist, I've found myself trying to maximize these trips to see as many games as possible during one vacation. While we were seeing three NHL games in three nights on our initial trip to New York City, I met with the NHL Network's E.J. Hradek and he suggested taking a train to Philadelphia since it was so close - we didn't have the time on that particular trip, but this gave me an idea. I knew I'd need to come back to New York once the Islanders moved into the Barclays Center in 2015, so this seemed like the perfect opportunity to cross Philadelphia off my list as well. But there was a new wrinkle to my plans: as mentioned in the recap of my previous trip (to Carolina), my travel companion Chad had just started a new job and had not yet accumulated enough vacation days to take significant time off; in addition, he'd already done plenty of sightseeing in the area as part of multiple visits to see the Pennsylvania-based independent wrestling promotion, Chikara. He would respectfully choose to skip this road trip, while at the same time, my girlfriend Charlene had asked if she could come along instead - she'd long been jealous when hearing of our hockey-related adventures, and she also had an ulterior motive for wanting to tag along (more on that later). From there, it was just a matter of finding a stretch of days that would include all of the sporting events that I'd like to witness as part of this quick trek to the eastern seaboard: NHL games in Philadelphia and Brooklyn, as well as seeing the historic Palestra basketball arena and an AHL game in the city of Hershey. The stage was set, and the trip would commence in February, during some brutally unforgiving weather conditions. Our cross-country flight brought us to Philadelphia on a chilly Wednesday evening, and we grabbed a quick bite at a pizza place located next door to the Airbnb where we were staying. The rest of the night allowed us to unwind and acclimate ourselves to the frigid surroundings. We woke up to see a thin blanket of snow and ice had covered the streets, with sub-freezing temperatures awaiting us outside. Bundled in several layers each, Charlene and I headed into the bitter cold for a 45-minute walk to downtown Philadelphia. Our first stop was the iconic Liberty Bell, where we learned about the history of the famed symbol before posing for pictures. 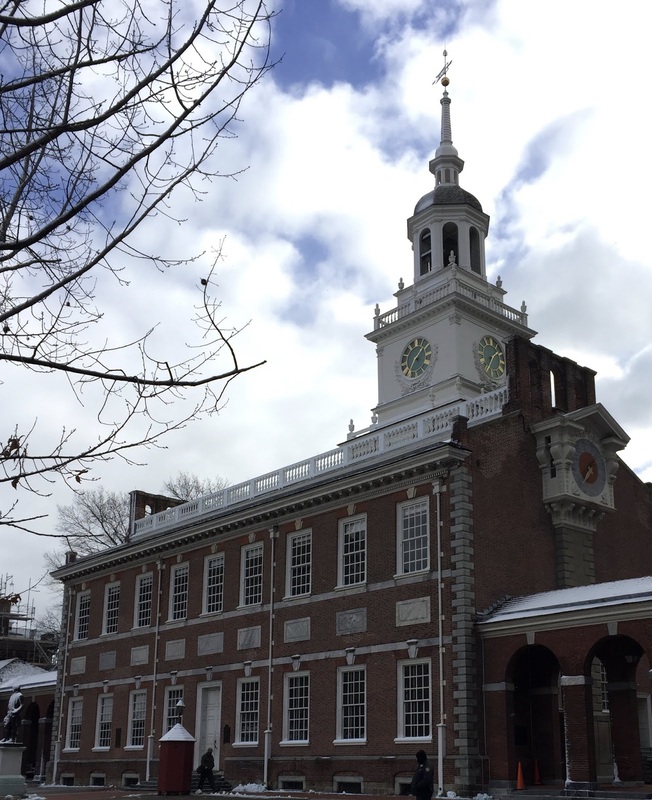 Located next door was Independence Hall, another historic landmark with a rich history. I've been fascinated with the Founding Fathers and the birth of our country since I was a child, so I was very eager to learn more inside - a wonderful park ranger guided us through the Assembly Room where the Constitution AND Declaration of Independence were both signed!